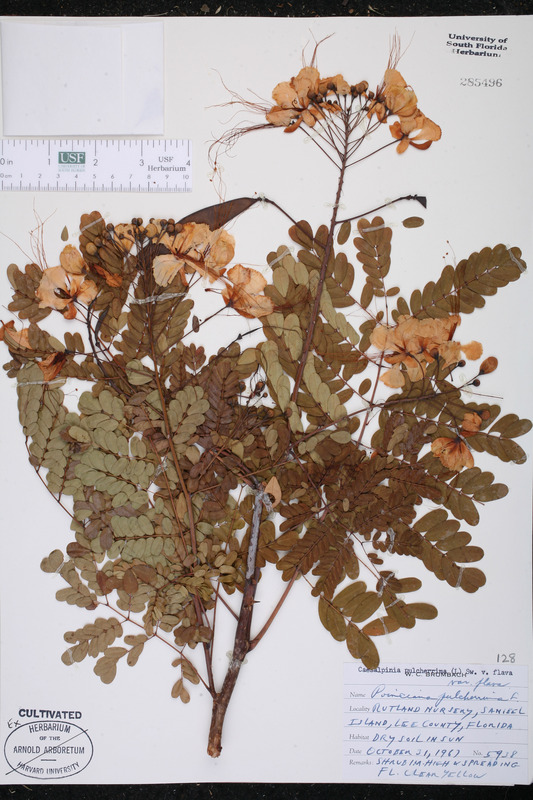 Taxon: Caesalpinia pulcherrima (L.) Sw. Locality: United States, Florida, Lee Co., Rutland Nursery, Sanibel Island. Habitat: Dry soil in sun.